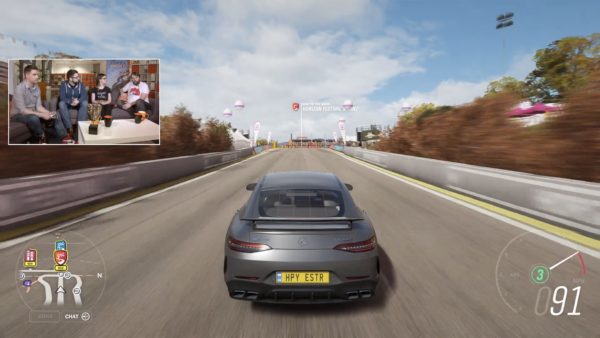 Kicking off slightly late due to the relentless snow in Washington, today’s Forza Monthly showed off what players can expect from Series 6 of Forza Horizon 4. 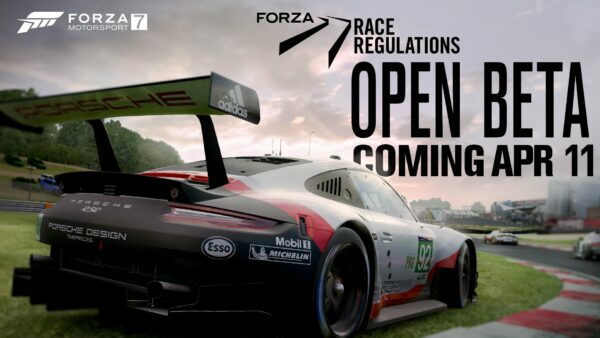 The latest update went out alongside the show, and we’ll have more details on that later. But to kick things off, the team looked at what a lot of players were curious about: the new cars. It was a quieter set of announcement’s after last month’s return of Mitsubishi, but it once again balances old and new rides for players to tour Britain in. 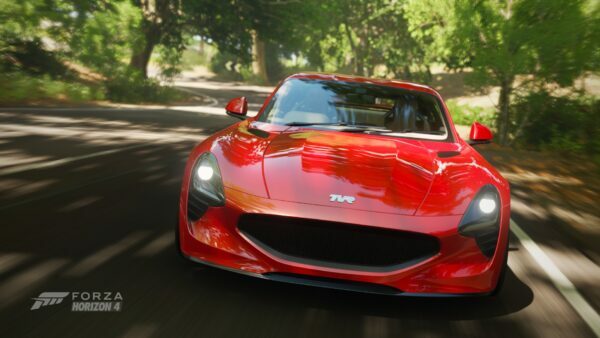 In terms of franchise-fresh metal, there’s the reborn TVR Griffith. Power comes courtesy of a Ford-sourced (and Cosworth-fettled) 5.0-liter V8 engine, putting out 480hp to the rear wheels only. While it makes a handful of concessions to the modern world with ABS and traction control, it still sounds like a TVR should, and looks to still be just as willing to get sideways. 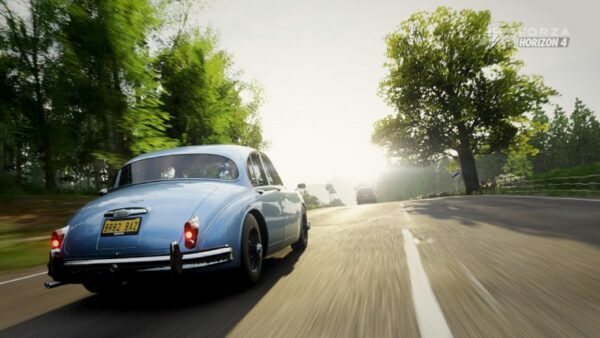 With the real-world project recently hitting a delay, this will be one of the few ways people will be able to experience the car for a while yet (the other being The Crew 2). You’ll notice that’s only two cars, where previous months featured eight. Well, time has flown, because the TVR and Caddy add up to Playgrounds’ original 42-car quote for the Car Pass. Curiously, Playground hasn’t hinted at any plans for additional cars past these two, which will likely drop on February 14. The weekly cadence is new for the franchise, but a return to monthly packs could be in the cards. With over 7 million players, Playground will want to keep the community engaged with new content. There is still another expansion set for a future reveal, too. 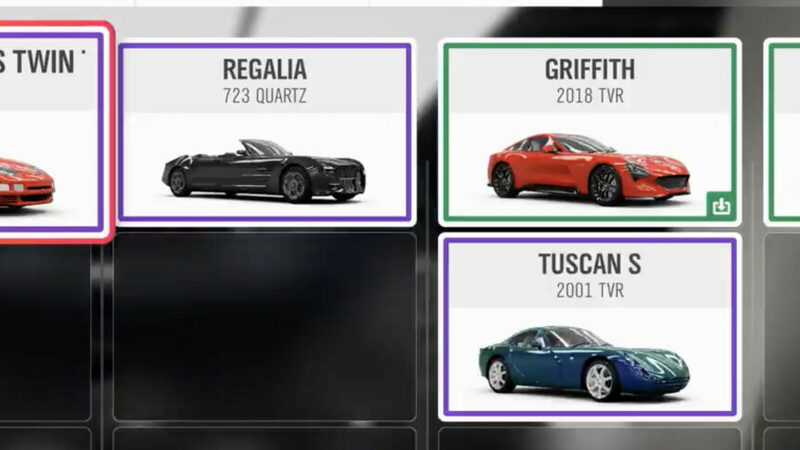 While the Griffith and Eldorado are for Car Pass holders, the stream did reveal plenty of other metal coming over the next few weeks for all players. The Regalia Quartz, a 25-foot monster of a cruiser, returns from Forza Horizon 3. The four-wheeled star of Final Fantasy XV, this beast dwarves even the Caddy. What’s more, Playground has included a second off-road version that is even more ridiculous. Players will be able to win them both in upcoming events. More sane metal shows up in the form of two 1994 Japanese coupes. 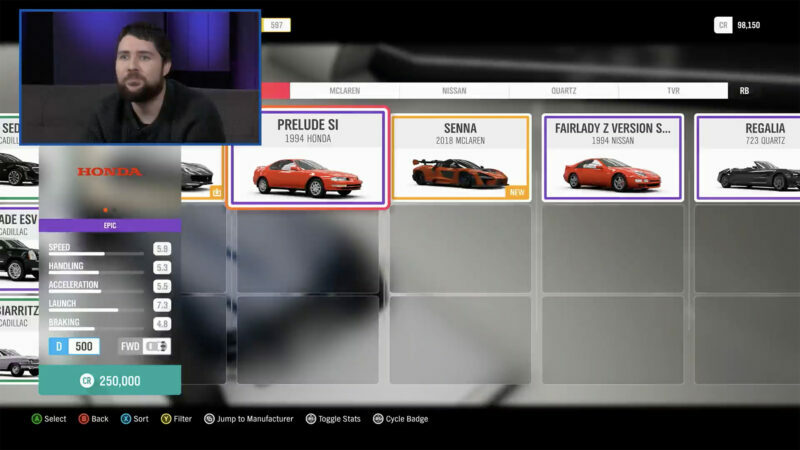 Both the Honda Prelude Si and Nissan Fairlady have shown up in previous Forza games this generation, and we’re glad to see them back in the fold here. The TVR Tuscan S joins them. 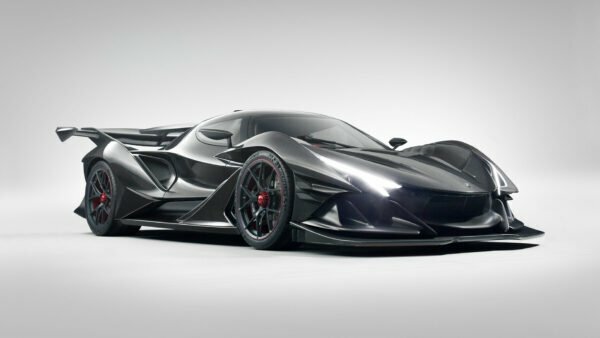 It’s evidently in to celebrate the Griffith, so expect it to be a Forzathon prize right around the time the new car comes on stream. This is the first time the car has shown up in the franchise this generation. 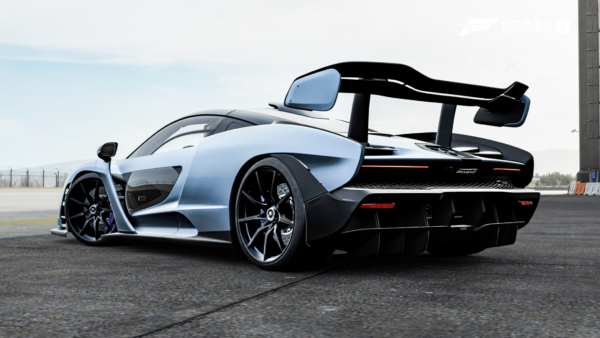 It’s a bit of a revival for the Tuscan: just last month, it returned to Gran Turismo via the GT Sport v1.32 patch. 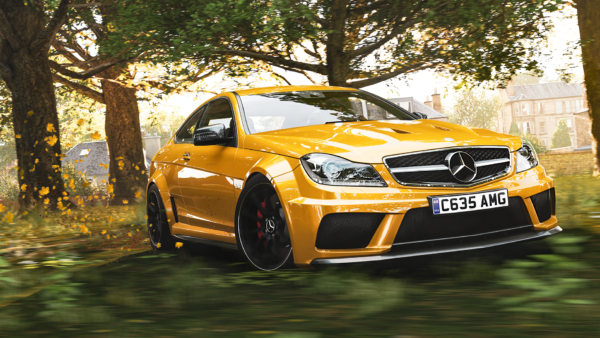 We’ll have more details on the latest FH4 patch as well as what’s new for FM7 this month very soon.